Interns in these positions will spend half of their time at Royal Oaks and half of their time in the Compass Health-Clinton office, with each intern spending 3 days in one office/2 days in the other. An average of 20 intervention hours per week is expected and a minimum of ten assessment reports are completed during the training year. A case load of 4-6 patients will be carried on each rotation at Royal Oaks Hospital as well as conducting five to ten clinical groups per week, family therapy, and treatment team. During some rotations, interns will participate as a member of a multi-disciplinary treatment team led by an Attending Psychiatrist. Other members of the treatment team include Psychologist, Registered Nurses, Licensed Professional Counselors, Clinical Social Workers, Expressive Therapists, Educators, Utilization Review staff and a Clinical Case Manager. Interns not only present case conceptualizations, but will convey findings of psychological testing. Psychology Interns at both Compass Health and Royal Oaks utilize both hands-on training as well as web-based training programs. The agency offers a full training library of web-based programs for the interns and staff to access as they are able based on their licenses/interests. Interns are provided with their own office space complete with computer and access to the internet and printer. Each location is equipped with the testing and training materials necessary for the interns to complete the requirements of their training year. Training experiences at both locations will be similar to full time interns except that they will be working both inpatient and outpatient. For more information about the Royal Oaks Hospital portion of this experience go here. It should be noted that Clinton is approximately 1.5 hours from Springfield, Missouri and Windsor is approximately 2 hours away from Springfield, Missouri where interns must travel to monthly didactics. Due to regulations for Compass Health, incoming interns are required to attend orientation prior to their internship start date. Orientation includes a general introduction to the organization, customer care, and Information Technology information (such as the Essential Learning trainings throughout the year), CALM training (restraint and seclusion), NIMS training (disaster training for emergencies or evacuation), and a day covering the Stop and Think program (evidence based program for working on the pre-adolescent unit). Compass Health only interns have multiple orientation date options to choose from. General orientation for Compass Health is conducted in Clinton, Missouri on a weekly basis. Orientations are not conducted on weeks split between two months. Interns at Compass Health, Clinton (or any other Compass Health only location) may choose which orientation they wish to attend based on their available schedule. However, Dual Track interns must also attend an orientation for Royal Oaks Hospital which typically occurs in June. Dual Track interns will be provided with the orientation schedule once it is set. Interns will be reimbursed at least $250 for travel expenses related to attending this orientation. Cost reimbursement above and beyond $250 is subject to site approval. Dr. Gray received her Ed.D. in Counseling Psychology from Oklahoma State University in 1974 and began her professional career at the University Counseling Center at Oklahoma State University from 1974 – 1976. She then worked at Indiana State University from 1976-1980. In March, 1980, she was hired as a Psychologist at Southeast Kansas Mental Health Center, Humboldt, Kansas, where she became the Director of Clinical Services. She then worked at Pawnee Mental Health Services, Manhattan, Kansas, from 1994-2003 as a clinical coordinator and, later, became a division director. In 2004, she began work at Pathways Community Health, where she held the position of Director of Crisis Services from 2005 – 2017. She is now “slightly” retired, and work 3/4 time at Pathways as a Licensed Psychologist. She is a licensed psychologist in Missouri and Kansas and her theoretical orientation is cognitive/behavioral. Dr. Lowman received her Master of Arts and Doctorate Degrees from Forest Institute of Professional Psychology in Springfield, Missouri. She completed her doctoral internship and post-doctoral residency at Royal Oaks Hospital in Windsor, Missouri. She has received training in residential acute care inpatient settings with children and adolescents, adult acute care inpatient, community mental health, private practice and hospice care. Dr. Lowman is currently the Clinical Coordinator, Inpatient Services as well as the adult program director. At Royal Oaks Hospital she provides and supervises clinical services on the adult unit. As training director Dr. Lowman supervises the training and development of psychological interns, residents, and trainees. Her clinical interests include group therapy. She is also a member of the Board of Directors for Child Safe of Central Missouri, a child advocacy center. Dr. Lowman is a Licensed Psychologist in the state of Missouri. Dr. Lorance received his Master of Science degree from Missouri State University and his Doctorate degree from the Forest Institute of Professional Psychology. He finished his clinical internship at Royal Oaks Hospital, and completed his post-doc residency at Pathways Community Health in Owensville, Cuba, and Jefferson City, Missouri. Dr. Lorance has experience in psychological and neuropsychological assessment, with experiences and training at a medical hospital, private practice, and community mental health. Dr. Lorance also has interests in Acceptance and Commitment Therapy, Dialectical Behavior Therapy, and their scientific underpinnings. Presently, he works at Royal Oaks Hospital providing psychological testing consultations on patients across the lifespan, as well as providing group therapy to patients. Dr. Lorance is a Licensed Psychologist in the state of Missouri. Interns as a part of the Dual Track experience will work from 8:00 am – 5:00 pm on the days they are assigned to Compass Health (2 or 3 days each week depending on which site is designated as the primary office location). Interns will work either from 8:30 am – 5:00 pm or 12:00 pm – 8:00 pm at Royal Oaks Hospital depending on the days they are assigned to work at that location. Site schedules are a general guideline and interns may be required to make themselves available at other times as needed. Since Royal Oaks Hospital does not observes the Friday after Thanksgiving, if the intern is scheduled to work at Compass Health on Fridays, then they will receive that holiday and only 1 personal holiday. If the intern is scheduled to work at Royal Oaks Hospital on Fridays, then they will be scheduled to work that day, but be given 2 personal holidays. Both Royal Oaks Hospital and Compass Health have support staff on site available to assist the interns. They also utilize both hands-on training as well as web-based training programs. Their web-based training program offers a full training library for our staff to access as they are able based on their licenses/interests. They also offer a wide range of psychological assessment and scoring materials. Due to the distance required to travel to Didactic training each month, Royal Oaks Hospital and Compass Health provide travel reimbursement and mileage for intern travel expenses during monthly didactics. More information about the Support and Benefits offered in each of our regions can be found here. Patients at our locations often have to deal with barriers such as transportation, cost, and childcare. Typically, our areas served do not have public transportation, and thus the cost of a vehicle and gasoline, as well as car insurance, can cause difficulty. In addition, many of our clients do not have access to affordable childcare, which is also a barrier to them receiving treatment. Most commonly seen diagnoses at this office location include ADHD, Autism Spectrum Disorders, PTSD, major depressive disorder, anxiety disorders, various personality disorders, variety of psychotic disorders, and substance use disorders. Download the 2019-2020 Central Region Brochure here. Download the 2019-2020 Great Lakes Region Brochure here. Download the 2019-2020 Cascades Region Brochure here. 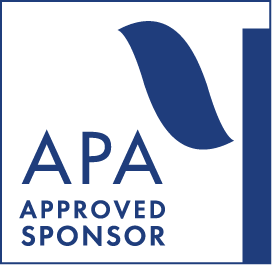 National Psychology Training Consortium (NPTC) is approved by the American Psychological Association to sponsor continuing education for psychologists. NPTC maintains responsibility for this program and its content.